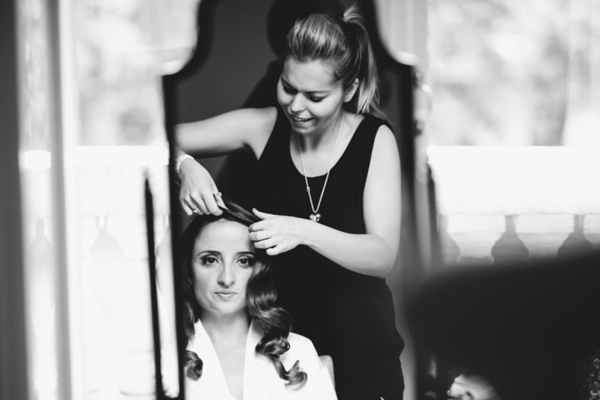 Roxy Farrier Hair Stylist is very well known in Bridal circles for her incredible Wedding hair. Working with such passion leaves Roxy a cut above the rest. My passion for hair began in 2018 as I signed up to take up a 2 year college course. I soon realised the art of hair only gets better with experience. From college as a qualified hair stylist back to being a junior assistant in the renowned hair salon, Jo Hansford in Mayfair. I had a further 2 years intensively training and learning while I worked, until I earned my position as a senior hair stylist. My career has taken me in many directions; I have judged competitions, I have been a part of teams creating hair styles for catwalks, I have styled the hair of an array of celebrities, have had my work published in various magazines and newspapers and been a part of many weddings. Now I freelance based in Surrey but still work on a regular basis in London and all over the UK and internationally. I regularly work with others in the industry and attend courses to keep my knowledge and skills at the highest level. Making sure that I am up to date with the trends for bridal and editorial hair each year and each season.